Research in my lab addresses the functional diversity of terrestrial plants, with a particular focus on the California flora. 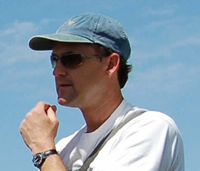 Current research is focused on three areas: analysis of the adaptive value of plant functional traits; the study of community assembly processes, based on distributions of plant traits; and macro-evolutionary studies of trait evolution, based on the synthesis of ecological data, recent advances in phylogenetics, and the development of new comparative methods. 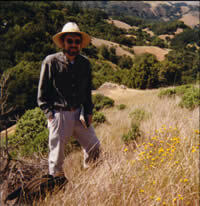 I am particularly interested in development and analysis of regional and global databases for plant ecological traits, including the new Ecological Flora of California. My research program encompasses vascular plant systematics, floristics, and conservation biology, with an emphasis on biosystematic and phylogenetic studies. I am particularly interested in systematic questions that address evolutionary processes, historical biogeography and ecology, and relationships of California plants and their descendant lineages elsewhere (e.g., Hawaii). The rich diversity of the California flora and the extensive literature from evolutionary research on California plants pose well-defined and important systematics research problems for graduate study. 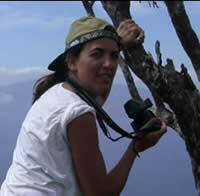 My research investigates the origin and maintenance of Amazonian rain forest tree diversity. 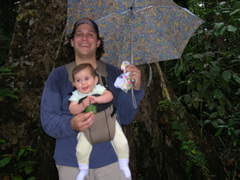 I am especially interested in the role that biotic interactions and environmental heterogeneity play in the morphological, functional, and genetic diversity of tropical trees, and how these factors influence the distribution and speciation of plants. Current projects include studies of Protium (Burseraceae), assembly of Amazonian plant communities and the diversification of the sister families Anacardiaceae and Burseraceae. 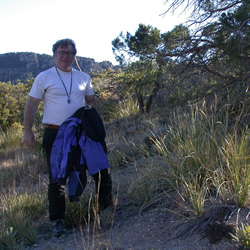 My personal research interests can be grouped into two main areas: (1) empirical studies of ecology, phylogeny, systematics, genomics, and development of mosses, and (2) the theoretical basis of systematic and evolutionary biology including the nature of species, methods for phylogenetic reconstruction, and principles of rank-free phylogenetic classification. My graduate students are currently involved in research projects on a broad front including: systematic studies of mosses, ferns, and angiosperms, the ecology of reproduction and water stress, biogeography of the South Pacific, comparative genomics, and ethnobotany. My research interests center on the processes and patterns involved in the evolution and diversification of plants, especially the monocots. I use a phylogenetic framework to test hypotheses of morphological evolution and to analyze temporal and spatial patterns of plant speciation. All projects in my lab emphasize the use of systematics in comparative plant biology. Current projects focus on (1) the evolution of developmental genes and the role of differential gene expression in generating floral diversity of monocots, (2) systematics and rates of diversification in tropical gingers, (3) coradiation of plants and their pollinators, and (4) conservation genetics and the use of genetic tools to illucidate patterns of gene flow that enable us to trace historical migrations and distributions and to predict future threats to genetic diversity of extant plant populations. My research focuses on the evolution of fungi, including fungal phylogenetic relationships, the timing of deep fungal divergences, species recognition, speciation, species maintenance, selection, and accounting for genetic variation in genomic studies.